What’s going on with the Brooklyn-Queens streetcar? - Archpaper.com What’s going on with the Brooklyn-Queens streetcar? 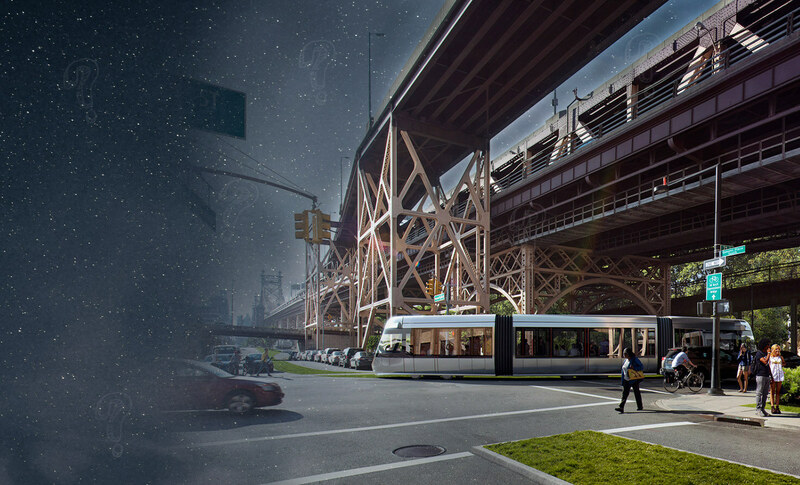 With the recent revelation that New York City’s proposed Brooklyn-Queens Connector (BQX) streetcar project had missed its deadline for launching the public review process at the end of December, new questions have arisen over how feasible the project is. As the city’s Economic Development Corporation (EDC) has instead chosen to begin a review of the streetcar’s cost and feasibility this year, it’s worth looking back at the BQX’s bumpy ride through 2017. The last time AN wrote about the BQX, it was to report on the release of a leaked memo from Mayor Bill de Blasio’s advisory team to Deputy Mayor Alicia Glen in April. While the 16-mile-long BQX line was originally envisioned as a way to transport residents up and down a revitalized Brooklyn-Queens waterfront by April 2024, the memo called into question the rising costs of relocating below-grade utilities along the line’s route. It was additionally suggested that the use “value-capture” for the $2.5 billion project, which would finance the BQX through rising waterfront property values, might not be enough. Citing the contentious relationship between Mayor de Blasio and Governor Andrew Cuomo, and breaking with the mayor’s assertion that the BQX would require no state-level intervention, the sources broke down why the streetcar relied on the governor’s approval. Several parcels of land along the BQX’s proposed route are owned by the state government and would need permission to build over, and the MTA has stated that it would not cross-honor BQX tickets for the bus and subway systems. Killing the “last mile” aspect of the streetcar is especially important, as the project was initially pitched as linking neighborhoods that lacked mass transit options. Four days later on the 13th, the nonprofit group Friends of the Brooklyn-Queens Connector unveiled a life-sized streetcar prototype at the Brooklyn Navy Yard. 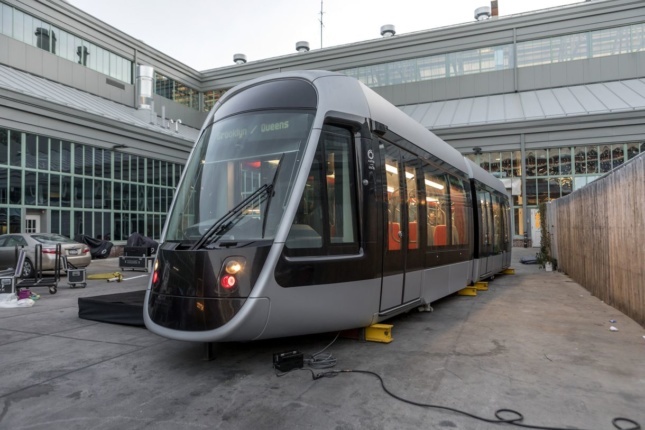 The mockup featured enough room for 150 passengers and open gangways, while Friends of the BQX have promised that the streetcar would have an average speed faster than the busses it would share the street with. As December drew to a close, the BQX missed a major milestone in failing to launch the public review process. As the EDC begins an in-depth review of the project, Crain’s has noted that the review would save taxpayers $35 million if plans for the streetcar were scrapped, but would delay the project’s launch another six months, potentially costing up to $100 million every year that it’s delayed. Only a few days after, on December 28th the Post reported that the Department of Transportation would need to repair the decaying Brooklyn-Queens Expressway directly over the proposed streetcar route, potentially delaying the project further. While the Friends of the BQX and the mayor’s office have remained adamant that funding for the project can be found, there are still significant hurdles in the way. A route has to be finalized, some sort of agreement between the city and MTA must be worked out, and protection measures for flooding will need to be discussed as the entire line runs along the most climatologically vulnerable part of the waterfront. As 2018 progresses, it will be worth keeping an eye on whether the BQX can meet its original 2019 groundbreaking date. A Friends of the BQX spokesperson gave AN the following statement in regards to the project’s future.